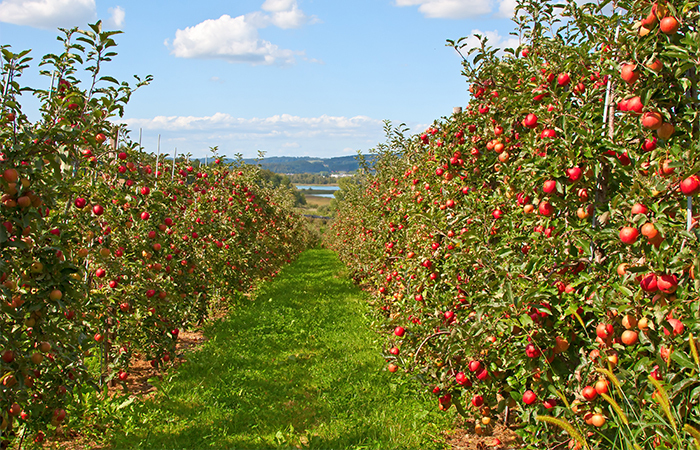 Located in the beautiful Finger Lakes Region of New York State along the rolling hills of Seneca Lake, Red Jacket Orchards has mastered the art of harvesting and pressing premium fruits and juices. Three generations of the Nicholson family have grown apples and summer fruits, including berries, currants, cherries, peaches, plums and the largest apricot orchard on the East Coast. Founded in 1958, what began as a local apple farm has grown to a 600-acre family orchard.